We have reached the final table of ten in the $400 Pot-Limit Omaha event. With the elimination of one more player, we will be in the money. We had a total of 67 players in the $400 Pot-Limit Omaha High event at the Foxwoods World Poker Finals. Kevin Mason Wins the Seniors Event! Kevin Mason has won the $500 NLHE Seniors Event. He takes home the trophy, leather jacket and $33,693. 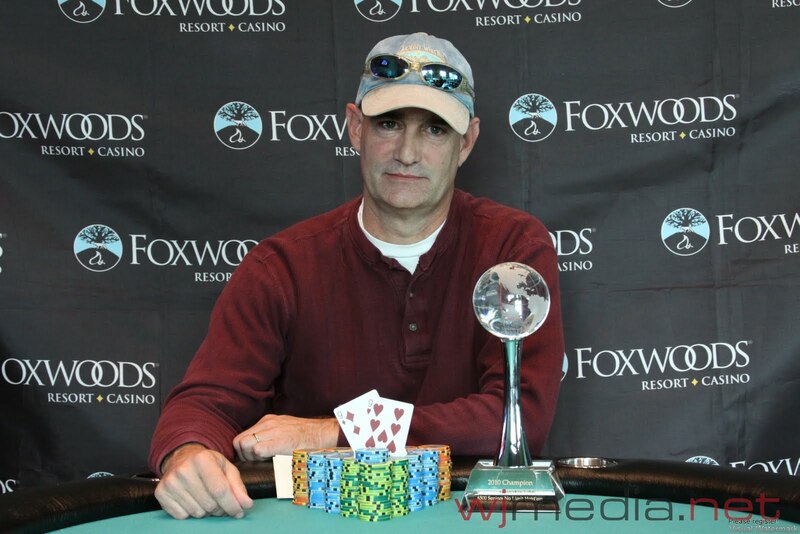 We had a total of 312 players in the $400 NLHE event at the Foxwoods World Poker Finals. World Series of Poker November Niner Matt Jarvis sits down with Jay "WhoJedi" Newnum to talk to about preparing for the November Nine and the heater that he has been on. Day Two of the $500 Seniors Event Underway! With only 11 players remaining, Day Two of the $500 NLHE Seniors event is back underway. The $400 NLHE event at the Foxwoods World Poker Finals is now underway. Players start with 10,000 in chips and the levels are 40 minutes in length. The blinds are starting at 25-50.